LONDON -- (REUTERS) -- Jaguar Land Rover has signed a contract to build vehicles at Magna Steyr's plant in Graz, Austria, to ease production constraints in the United Kingdom. Magna Steyr, a unit of Canada's Magna International Inc. -- North America's biggest auto-parts supplier -- will build an unspecified number of models in the Graz factory as JLR's three British plants operate close to capacity. The Graz plant also builds Mercedes-Benz, Mini and Peugeot vehicles. 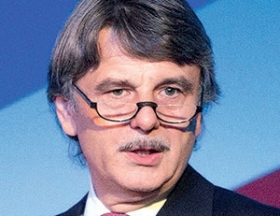 JLR CEO Ralf Speth sought to reassure customers and workers in Britain that the company is staying loyal to its origins. "The UK remains at the center of our design, engineering and manufacturing capabilities. Partnerships such as this will complement our UK operations and engineering," he said on Thursday, July 2, in a statement. A JLR spokesman declined to comment on which model or models Magna will build, except to say that production will start after next year. JLR built almost one in three of the UK's 1.53 million cars in 2014. The automaker was bought by India's Tata Motors from Ford Motor Co. in 2008.